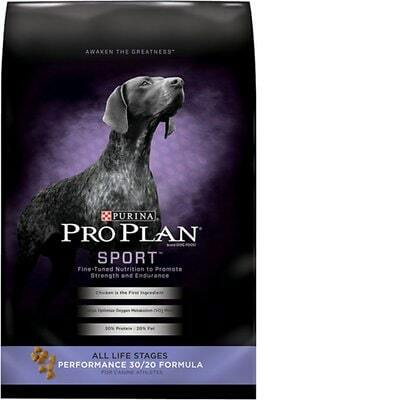 Purina Pro Plan Sport All Life Stages is a low-priced dog food with overall lower quality. This product has 7 controversial ingredients, but includes no artificial preservatives, colors and flavors. The food has overall well-balanced amounts of protein, fat and carbs with mixed meat and fat quality. 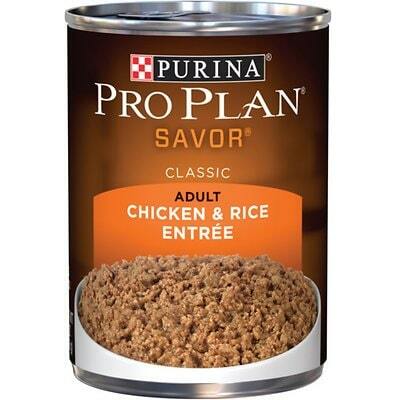 Purina has an above-average number of recalls. The company was relatively transparent when answering our questions. Chicken, Corn Gluten Meal, Brewer's Rice, Animal Fat Preserved with Mixed-Tocopherols (Form of Vitamin E), Poultry By-Product Meal (Natural Source of Glucosamine), Whole Grain Corn, Corn Germ Meal, Fish Meal (Natural Source of Glucosamine), Animal Digest, Fish Oil, Dried Egg Product, Salt, Calcium Carbonate, Potassium Chloride, Calcium Phosphate, Vitamin E Supplement, Choline Chloride, L-Lysine Monohydrochloride, L-Ascorbyl-2-Polyphosphate (Source of Vitamin C), Zinc Sulfate, Ferrous Sulfate, Manganese Sulfate, Niacin, Vitamin A Supplement, Calcium Pantothenate, Thiamine Mononitrate, Copper sulfate, Riboflavin Supplement, Vitamin B-12 Supplement, Pyridoxine Hydrochloride, Garlic Oil, Folic Acid, Vitamin D-3 Supplement, Calcium Iodate, Biotin, Menadione Sodium Bisulfite Complex (Source of Vitamin K Activity), Sodium Selenite. The average dog food we reviewed has 39 total ingredients, with 1 controversial ingredient. This product has a surprising 8 total controversial ingredients and 4 of them are found in the first five ingredients. This is concerning because the first 5 ingredients make up most of the product. Corn gluten meal is a waste product from corn manufacturing that is used as an inexpensive protein source in dog food. While it provides protein, corn gluten meal is less nutritious than meat (its ability to provide amino acids to your dog's body is lower). Therefore, we do not consider it a high-quality dog food ingredient. Brewer's rice is the small, broken fragments of white rice that are left over when rice is milled. It's used in dog food since it's not considered aesthetically pleasing enough for human food. It's a cheaper alternative to whole rice or other grains, providing calories but only modest nutritional value. It is missing many of the nutrients contained in whole ground rice and brown rice. 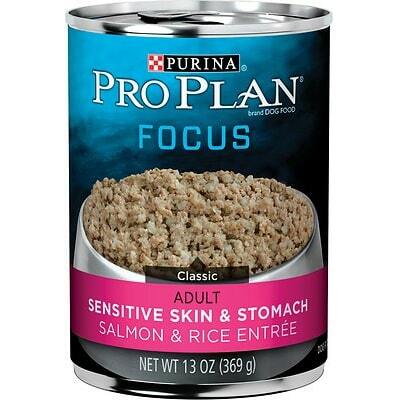 For these reasons, we do not consider this a high-quality dog food ingredient. Animal fat is created through a process called rendering which uses heat to convert animal tissue into more usable materials. Rendering dries the ingredient to separate bones, fat and protein. While fats are nutritious, this ingredient doesn't identify the species it comes from making it questionable and intransparent. This includes the potential that rancid, dead, dying, disabled or diseased meat sources could have been used. For these reasons, we do not consider this a high-quality ingredient. The other part of this ingredient is Mixed-Tocopherols, a natural preservative made from Vitamin E that helps keep food fresh. 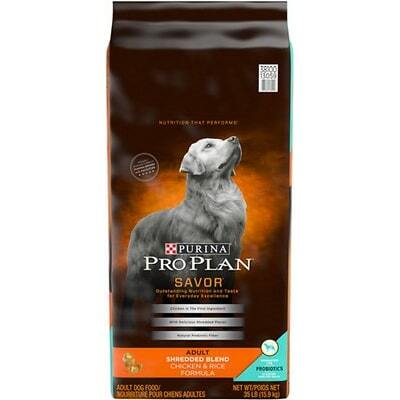 We consider it a high-quality dog food preservative. Corn gluten meal is a low cost protein ingredient that is used to add protein and bind food together. This protein is far less complete in nutrient content than meat based proteins, but because of its low cost it is often used to bump up the protein percentage. It is controversial if it is used in the top five ingredients (which make up about 80% of the food's weight) where a named meat or lean protein would be more nutritious. Brewer's Rice is basically white rice that has been broken into smaller pieces. It's a waste product of the milling process and considered a low quality ingredient because it's missing many of the nutrients contained in whole ground rice and brown rice. Animal fat is created through a process called rendering which uses heat to convert animal tissue into more usable materials. Rendering dries the ingredient to separate bones, fat and protein. While fats are nutritious, this ingredient doesn't identify the species it comes from making it questionable and intransparent. This includes the potential that rancid, dead, dying, disabled or diseased meat sources could have been used. Meat by-products are animal parts other than meat that are left over at the slaughterhouse. This can include the lung, spleen, brain, liver, blood, bone, beaks, kidneys, fatty tissue, and intestines. Because there is a wide variety of animal parts companies can use, and because details don't need to be disclosed, it's tough to compare the quality of different by-products. Generally speaking, by-products can provide important nutrients for dogs but can be of lower quality than meats and meat meals. Additionally, this ingredient doesn't identify the species it comes from making it questionable and intransparent. This includes the potential that rancid, dead, dying, disabled or diseased meat sources could have been used. For these reasons, we do not consider this a high-quality ingredient. Glucosamine is a combination of glutamine (an amino acid) and glucose (a sugar) that's present in chicken. Animal digest is produced by chemically breaking down animal tissue into a liquid that can be used as an added flavoring, making it more likely your dog will eat the food. This is a controversial ingredient because it is produced with unknown animal sources which are also often of unknown quality. Fish meals are made by cooking fish. Water is removed from meats to create a protein-rich meal powder. Meat meals contain about four times the protein meats do, so generally, they're a good source of nutrients. While fish is generally nutritious, this ingredient doesn't identify the species it comes from making it questionable and intransparent. This includes the potential that rancid, dead, dying, disabled or diseased meat sources could have been used. For that reason we do not consider this a high-quality ingredient. Fish oil in general is very nutritious, supplying healthy Omega fatty acids and other nutrients to your dog. However, this ingredient doesn't show which animal(s) it's actually made from, making it less transparent and potentially low-quality. Because of that, we consider it a controversial ingredient. 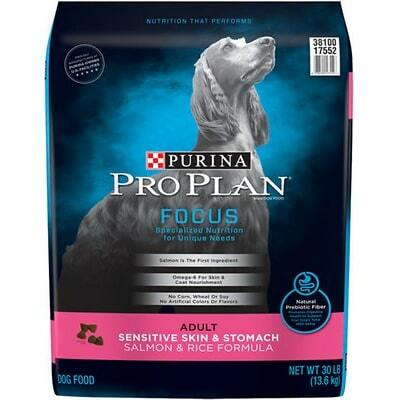 Purina is made in the United States.That’s a very good thing, because it means the company has to follow strict dog food safety standards when making the food. We generally recommend buying dog foods made in the USA, Canada, Europe, New Zealand or Australia for that reason. This food has a mixed meat and fat quality. When looking at the ingredients list we find both named ingredients that show their animal origin and others that are less transparent: Chicken, Animal Fat Preserved with Mixed-Tocopherols (Form of Vitamin E), Poultry By-Product Meal (Natural Source of Glucosamine), Fish Meal (Natural Source of Glucosamine), Animal Digest, and Fish Oil. It’s a mixed result, lacking much-needed ingredient details overall, which would make the product better. This product has no controversial artificial preservatives. If you’d like to know more about this topic: It’s good to know that ‍not all artificial preservatives are bad. That’s because they serve an important purpose, which is to prevent food from spoiling. However, we consider 11 artificial preservatives controversial because of their potential link to cancer and other serious health conditions. There are no artificial colors in this food, excellent. No artificial flavors can be found on the ingredients list, fantastic. 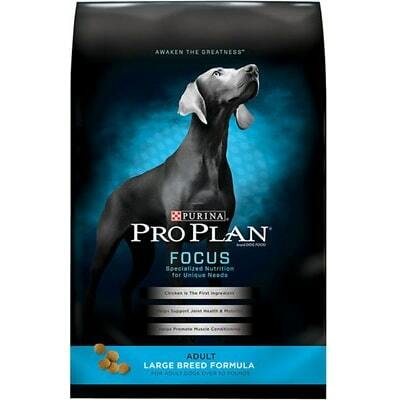 Purina Pro is owned by the multinational company Nestlé Purina. It required two emails over two weeks to get the answers below. Like most large companies, many of the customer service answers will read like well crafted marketing messages. 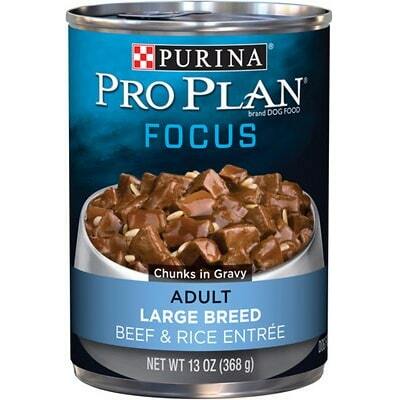 Since this representative is responding on behalf of a family of brands, they have referenced a few of the other brands that do the feeding trials, but they were clear that the Pro Plan line does do the feeding trials.